Two men and a girl have been arrested after police found a baseball bat, an axe handle and a quantity of drugs in their vehicle. Officers in Wisbech stopped the suspicious vehicle in the early hours of this morning, Tuesday May 2. The occupants were spoken to and grounds to search them and the vehicle were established and the offensive weapons and drugs found. 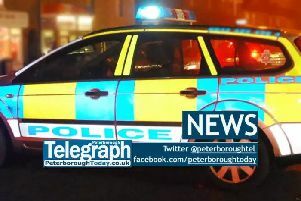 A 17-year-old girl from Wisbech has been arrested on suspicion of possession of an offensive weapon. A 19-year-old man was arrested on the same charge. A 18-year-old man from Wisbech was arrested on suspicion of possession of an offensive weapon and possession of class B and C drugs. All three remain in custody while enquiries are ongoing.